A cohesive look is important to your branding style. It’s important to recognizability and trust with your readers. In fact, I was reading the Product Launch Playbook and the author, Ruth Sukoup, said that a person needs to hear about a product about 7 times before they feel comfortable investing in it. I think the same holds true for blogs in general. That a person needs to hear about a blog quite a bit before they actually begin trusting it and trusting the creator. We are all working hard to establish trust with our readers, right? That’s why we do video even though we hate video. It’s why we push out newsletters each week even though we are afraid of bugging people. We crave that connection. We want that community with our followers. What good is a stat or a number unless it means your making progress towards your goals? For many of us our goal is making an impact while generating an income. 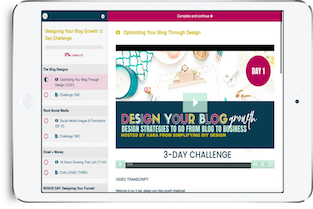 Personally, I want to help bloggers reach their income goals by overcoming the graphic design hurdle. And while I think most bloggers would love to be able to give it all away for free, this is our job and it’s how we support our family and pay the bills. There’s absolutely nothing wrong with having income be one of your major end goals to blogging, especially because with blogging it’s completely possible to make an income while serving your reader. But before the income, and before the raving fans, comes the foundation. Branding is a big part of that foundation. 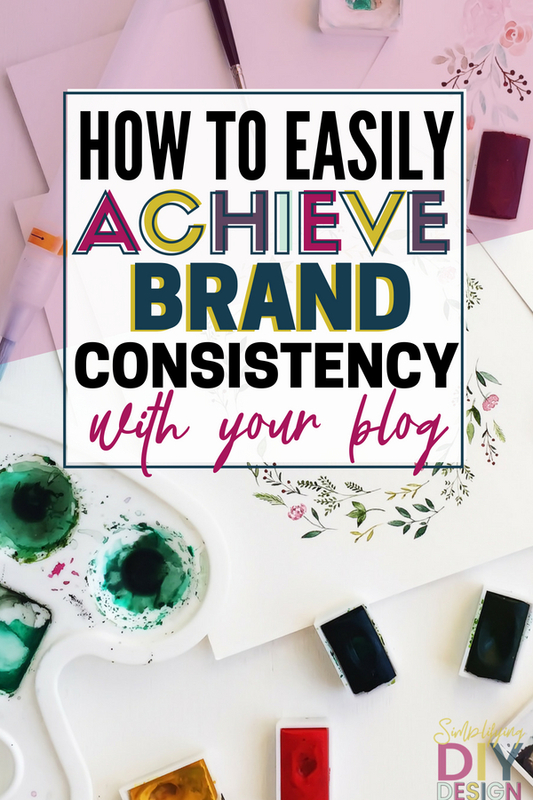 The first step to having a cohesive brand is actually branding your blog. SIDE NOTE: Before I get too far, I wanted to give you a heads up that there is a video at the end of this post with tons of great visual examples of what I’m talking about. Anyway, let’s go over the basics you’ll need to create a killer brand are a color palette that conveys who you are and who you want to attract. Remember: it’s not always about you, it’s about your reader. On the flip side, you don’t want to feel like you don’t fit either– it’s a balancing act. Pinterest and Design Seeds are great places to find color palettes. More often than not, our ideal reader (or Avatar) is really the same person as we are… before we figured out all the tips and tricks we had to figure out in order to make our own lives easier. So, if you are a mom blogger that writes about how hot mess moms can make their lives easier and more organized, chances are pretty darn good that you used to be a hot mess mom before you figured out your little hacks to make it better. This puts you at a great position to give your readers advice. You’ve been where they are and you know how to fix it. Bam! Couldn’t get better than that! And don’t worry if you are still working out whatever your avatar is working out. You’re still in a good position because you can let them know what you’ve tried that DIDN’T work, and what you’ve tried that DOES work. Giving them both sides is another great way to establish trust because they will know you’re giving them the whole story and not just saying what you need to say to make a sale. In any case, the fact that you and your avatar are similar works out pretty well when you are trying to find a color palette that screams “YOU” but also attracts your tribe. Same goes for fonts. If you want to attract a bolder type of person, you might want a more handwritten scratchy type of script font (see MY logo for an example). Just take into consideration if it’s hard to read. I consider mine a bit difficult to read so I only use it to add a design element to my images. I often use it for words that matter very little like “to”, “from”, etc. If you are a sweet, low-key person you might want a “prettier” script. Again, keep in mind the reader you want to attract as well. NOTHING like what you see on my site. Just because I think it looks good, doesn’t mean it reflects my brand or my personality. Don’t get too hung up on this and definitely don’t let this stall your branding process. This is something that may evolve over time. That being said, it’s also not something you want to switch up every other day because you can’t make up your mind. Stick to something simple and something that you can recreate easilly. For me, I use that “multi-colored font with the off-set outline” style for the keywords in graphics and products. Some use a metalic or glitter texture (lean how to easily do that using Canva). Others might use a shadow look or they just keep the text simple and accent it with a consistent general layout or design elements (like borders, banners, shapes, etc). As I stated above, a great way to add branding to your images is by including design elements. For me, I use banners and the twirly dotted arrow. Others may use stars, borders, or other designs. This is something you can find in Canva or on sites like Creative Market. Dont go crazy about this either. Like everything mentioned above, what makes these things recognizably you and your brand is one thing and one thing only: consistency! If you’re switching up your pin style each week or using 10 different colors then it’s not consistent. And just like everything else when it comes to business success: consistency is key. Just like pushing out those blog posts or writing that newsletter. So where do you implement your brand to achieve a cohesive look? Again, make sure to check out that video at the end of the post because I walk around a few different sites and point out where people implement their brand style so that they have a cohesive and recognizable look. It’s more than just the pins, but it’s easier to show than to tell. The bottom line is: what makes your brand stand out and become recognizable as you and your brand is the fact that you use the same style all the time. No, your readers wont get bored. PLUS– it actually helps you save time designing because you don’t have to think about what style, color, or fonts to use. Check out the video below to check out our design lab and see lots of examples of what I’m talking about. 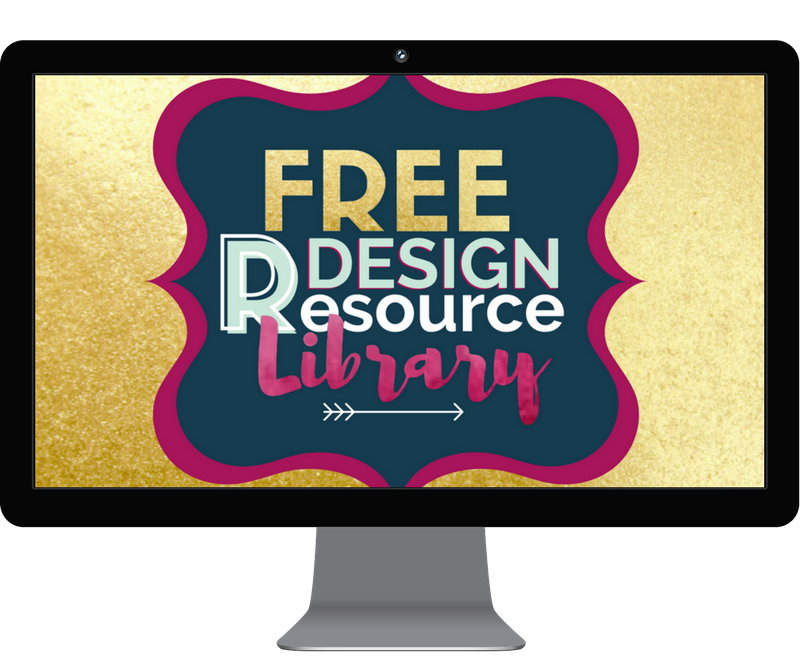 Don’t forget to pin this post and sign up for our newsletter so you can get access to our design library of free canva template, exclusive tutorials and design tools! 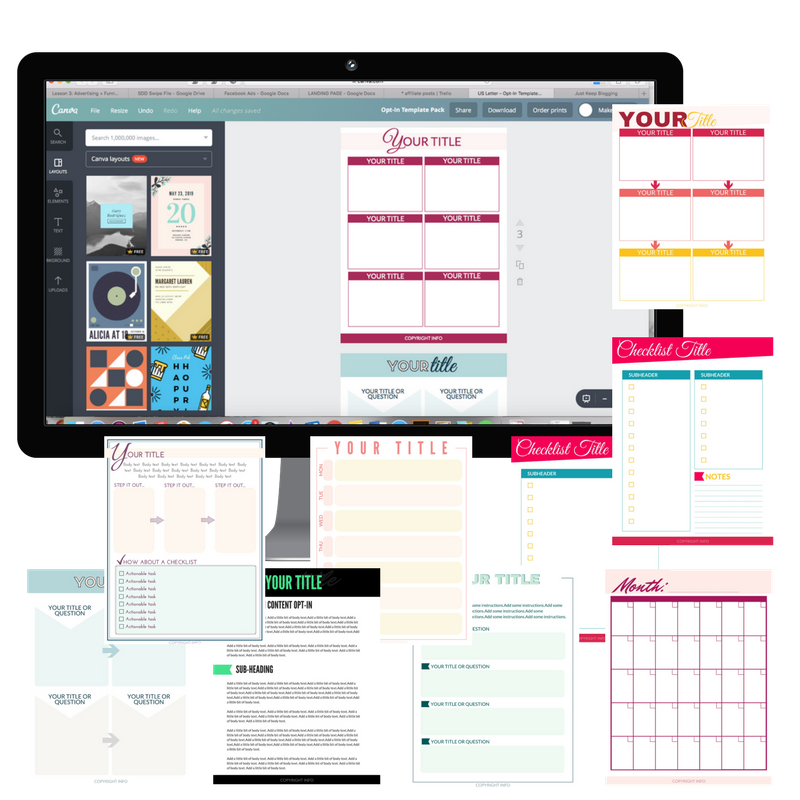 Fill out the form below to get added to our newsletter and also get instant access to our design library that has tons of design tools to help you grow your blog- from socal media, worksheet, and media kit templates to trellow boards, planners, and exclusive tutorials!